How do I get grants after a fire at my house? Your question was awhile ago ,but ours happened Christmas night..
We're still suffering,hotel..friends(were separated) ect... The town say we are top on list cuz fire victim. It's been almost two months we have called n called . Anything else I can do instead of waiting more longer on the time they're doing nothing. Please help. My experience offered several people to burn down my home and someone did. Well red Cross helped with $400.00 and that's all.but there was another family had a fire .just like my family.but the other family got money ,a FEMA trailer ,clothes ect.. y did that family get all that and me and my family are homeless we staying in my truck cause the tent miss up and can't live in it.so y r done family better than a nother family.can someone please answer me and make me understand y we r so cold. The Red Cross is always there for situations like yours. Give them a call. No, they aren't. My house was in a bad fire on 12/9. they came to where we were at- gave us a card for $250 and a few resources that weren't helpful as my job pays too much to qualify for them. When I am settled and back in my own, I fully intend to make it known that they do not provide nearly as much support as they claim to, which, to me, is false advertising. They only give you 3 days . Family of four. We are still, since Christmas night. Have no where to go. Red Cross says nothing more they can do. DO YOU KNOW DO YOU KNOW ANYWHERE ELSE?? PLEASE. ITS BEEN SO LONG. AND MY POOR CHILDREN. They certainly are not. I lost my home to fire in January, and they didn't do Jack. The red cross is worthless. They gave me enough money to buy half of a TV after I lost 100 grand worth of stuff . Anyone who donates to red cross is a fool. I agree we had a tragic house fire n lost both our dogs who were our kids! It was horrible the red Cross gave us a card with $500 but that paid for 1wk@ motel & 2 dinners at McDonald's they gave us numbers but all the places just didn't want to help. Salvation army gave us $100 voucher for cloths & $100 for food at said grocery store but we had to use the hundred all at once which was crazy as we were in motel with tiny fridge. We we're extremely thankful but every other place did nothing I felt like I was pulling teeth trying to get help it was so overwhelming calling so many places n no one would help! All these places take all these donations from people who think they r helping families in need but really they don't help n buy beautiful homes n nice cars , etc it's so wrong!!! We had a house fire January 2015 and still live in a gutted out house. I have searched for help everywhere. The Red Cross and Salvation Army wouldn't help us because at 3 a.m. in the morning, instead of looking for a phone to call 911, we fought the fire to save our home. I guess if you don't call 911, you don't get help from all the Charitable Organization you supported your whole life! I am allergic to the product in Fire Extinguishers so we had to completely gut out the whole house in order to have a place to survive. We lived in the garage for almost a year after the home was gutted out. We paid Travelers Ins. for a $230,000.00 Coverage Policy but barely was given enough to gut and remove the mess, and build a small living space for the 5 of us to survive. What's the point of paying for insurance if it isn't going to rebuild your home back the way it was before the fire? They didn't care that my allergy to the smoke and fire extinguisher contents caused pulmonary problems for me to the point that I could not breathe, coughed constantly, and broke out in red hives and whelps when I entered only the garage area. The central heat didn't even circulate the contamination in the garage area. You can imagine what I went through if I entered the house area! I ended up in surgery by December of that year from smoke inhalation and contamination damage to my esophagus from the fire. My stomach had to be pulled up to support my esophagus to give it strength due to the damage, so I would stop aspirating. I was forced to give up my job because I needed a year to recover from the surgery, which actually took me 2 1/2 years because I was so weak and unhealthy from trying to survive after the fire, vomiting from coughing so much, and just the total exhaustion from stress. I now suffer from PTSD due to all of the trauma I experienced during the fire and the past 3 years trying to recover physically and financially. At the age of 65, my husband has lost everything he ever worked for and he is completely disabled due to spinal cord damage. On the positive side, my son was burnt badly but is doing fine now, and no one died. I have no idea how we will ever recover, and how we will rebuild our home. But at least we are alive. That is one thing people need to be thankful for. Try checking with your Electric Co-ops. Many of them have a Charitable Fund that helps with Fire Victims. I'm not sure how much they can help, but I am apply for help right now. Hopefully we will have some success! I would also contact churches in the area and Habitat for Humanity. Usually police departments will help or at least put you in touch with others who can. You can also contact your local health department for assistance with temporary housing and any outreach centers for clothing and food. If you are not sure what is in your area, dial 2-1-1 for a list of what is available. I need help please . Iam a single mom with a handicap son. Who is truly a joy. We have been threw a really rough year. So I thought! I have a nine and a twenty five year old going on eight year old. We recently experienced a apartment fire. Was left with little to nothing. Can anybody tell me where I may get help??? I'm all these boys have. I would look for help in your local area. The American Red Cross, Habitat for Humanity, United Way or the Salvation Army may be able to provide assistance. You can also contact local churches, although most assistance will have already been given out for Christmas. And your state or county offices may also have resources to help you. Good luck. I'm sorry that you are having a difficult time. I grew up with a single mother and not much money. We had some truly dismal holidays but we always had each other and that was somehow enough. Hoping for a very Merry Christmas for you and your family. The Red Criss is next to useless, and habitat for inhumanity has means testing guidelines that disqualify poorer people. In general most are agencies that live to take money, but really hate to disburse it. Same for state programs, which us why they wanted to take all control from HUD. Just local rackateers, loooking for free handouts. I, personally, have never heard of someone getting a grant for redoing/rebuilding after a house fire. Their are agencies in almost every city that will help if the need is there and the "family" cannot do for themselves. Generally the local Family Services can provide a list of organizations that provide help in situations like this. 6. where are you living at present? 7. if this is your home, did you have insurance? If you are receiving government assistance - food stamps/Medicaid - visit their office and see if they can give you the names of places that might help you. It will take a lot of "leg work" and you will have to provide a lot of information but you may be able to find someone to help you with your home. Please remember, there are a lot of families that are in need of help and generally the assistance is set up to provide for the most needy. Thanks for all the advise. I do not need with clothing or a place to stay I already received help with all of that. The damage was greater than I thought and my house is under insured. I am not receiving enough money to do all the repairs necessary therefore the need to help with building material and someone to do the work who would be prepared to do the repairs at a much lower cost. I am a South African but hoping to find someone who can make it possible to help me find someone whom they know of. I find none of this. Just commercial ads that want to poach your money, to search through. My house burn down iam in need of help . Call Sisters of Charity. I don't have the number at hand. God bless! 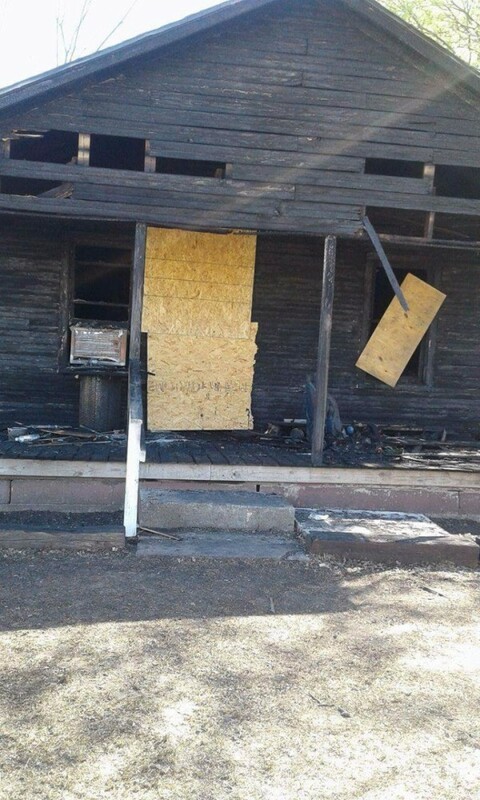 We lost entire home in house fire four months ago we are in tep housing but only have 20 days left im a single mom of three children trying to come up with new furnishings and a deposit on a new rental. We had an electrical fire as well on June 2 and lost everything. I hope everyone was OK. The american red met up with me, did they help you. I used the money for a sec deposit. I'm also trying g to find help with furniture and beds for my 3 kids. I Lost ny home and everything ....I lost everything. .. I was wondering if I could get help ?? Im a widow with two children my house recently burned. It was a total loss. I didnt have any insurance. Is there any organizations that would help. How do I replace my furniture that was destroyed in fire? Me and my wife need somewhere to stay.We are on a fixed income and we already spent our money on bills and previsions for the month ,what do I do? I had a house fire. The place belonged to my brother I was going to buy it but credit needed some worked. He was covered by insurance but the things inside were all mine new furniture and all the amenities. I had no insurance on my stuff. Is there a veteran aide to help me get out of debt from this devastating occurrence? Where can I get help with financial problems after house fire? Contractors took extra time fighting with insurance, then started fleecing us. Now have a lawyer. It's been over a year ran out of housing allowance, lost job, now out of unemployment. Still using portapotty with 2 teens in a shed ehimd house. Have money to fix house held by mortgage lender. No way to wash clothes, difficult to shower and cook. Contractors botched asbestos abatement no fight over who pays that and lost nearly all new items replaced from fire. Circling the drain falling into every crack . Need help for a month or two to survive!!! My family lost their house, everything is gone. It happened on New Years. How can we rebuild their home again? I'm trying to help my family. My daughter who stayed there and my grandbaby lost everything. 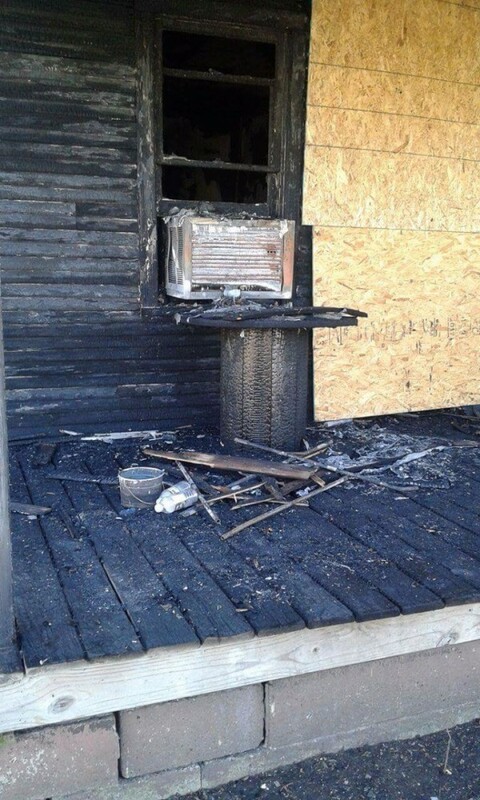 My family and I just suffered a house fire and we lost everything please let me know about any help. I am a victim(I hate that word because I am not a Victim), of a house fire too. I HAVE insurance, really great insurance, they put us up in a motel, then a rental home, while our house is being rebuilt, they fully furnished it and everything, i am sitting in the living room of rental right now actually.Anyway, I am writing this because I get that what everyone here is going through is horrid, but I am reading alot of CRAP, about how the Red Cross helped but just not enough so they are Bad, one guy even said they were false advertising, by taking donations and not giving him everything he needs, here it is folks, Thats NOT there job, that IS YOUR insurances job. THE REDCROSS CAN NOT PUT YOU AND YOUR FAMILY UP AND FEED YOU CLOTHE YOU INDEFINITELY, they just can't the money and resources are not there for that, they can help everyone that needs it alittle, or one or two people alot. I am not a rich man at all, I am disabled, and have not worked for years, but my insureanxe company when all is said and done will have payed out close to a Million dollars, just for my one claim, for my house, loss of use, and contents. The redcross works on donations they CAN NOT DO THAT. So stop blaming others(because really they didnt have to helpat All) and look around at what you still have and count your blessings, your family, your health, you yourself is alive, some people DIE in house fires! Nothing is guarrenteed in life. Now instead of comiyouto this website and bad mouthing the people who helped you, go to google and type in home owners insureance or renters insureance and find a good one, for next time!!! You not having insureance or the proper insurance is YOUR fault, and ia the exact same as letting your love ones, drive drunk with your children in the car blindfolded on the freeway backwards,....on a motorcycle. Ita your job as a man, or woman, head of family to protect whats yours and that means, making sure you are insured. May i suggest TRAVELERS INSURANCE, they have been beyond amazing to us. Now that being said remember I am going thru the same thing as you, i am not unsympathetic, quite the opposite, but we need to start taking responsibility for our selves as a society. We are capitalists, not communist, not socialist. Your not owed. I will be praying for all of us. I apoligize if this is hard to hear but I truely feel it needs to be said. God bless you all! And DONT GIVE UP LIFE WILL GET BETTER AGAIN IT WILL BE HARD AND LONG PROCESS BUT I CAN GUARRENTEE YOU THIS THAT YOU WILL SMILE AGAIN!